Ever listened to your voice recording on the telephone? I bet you were surprised with the outcome and didn’t think it sounded like you. Well chances are it really didn’t. You see, unlike when we are talking to people face to face, we lose some of the passion and spark in our voice. Usually it is because we have a thousand other things on our mind, and quite possibly also typing an email while we record our greeting. Even when we talk to people over the phone, most of us sound dull – unless you are a teenage girl talking about Justin Bieber. Let’s think of that last scenario. A teenage girl talking about Justin Bieber to her girlfriend is probably wildly excited, with all the passion in the world for this teenage Lothario; but it seems the older we get, the busier we get and talking on the phone, especially at work, becomes somewhat of a chore. Imagine if you talked to all your customers, suppliers and staff with the same spirit and passion that you would if you were talking to them face to face – you would certainly get a better response and more likely to inspire them. Unfortunately, as humans, we are extremely busy, and it is hard to always talk with a smile. That’s why when it comes to your telephone message on hold program or your interactive voice response system; it makes sense to invest in a professional voice recording. Most people can read, but they are unlikely to do so with the right tone and enthusiasm. Media Sound has a large database of professional voice artists who are trained in the art of reading scripts for audio productions. And if you were to watch them do their craft, you would see that they do it with a smile, and quite animatedly. 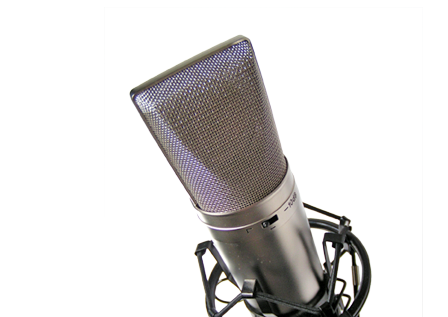 Get the right tone over the phone and contact Media Sound for a professional voice recording for your telephone lines. Call us on 1300 736 465. This entry was posted in Audio Production, Media Sound, Voice Over. Bookmark the permalink.